This Wednesday is going to be beautiful. Wanna know why? For one, it’s the middle of the work-week. Just a couple more days, and then another blissful weekend will be here. And as you all know, I love my weekends. For two, it’s the day my weekly beauty column runs over at Beauty Bets. This week, I shared an off-the-menu salon technique that extends the life of summery highlights, and keeps dollars in your pocket. I even show off my greasy roots in the before photo. The things I do for you dear readers, I tell ya! Check out the post here. For three, I’m finally getting a new garage door! This might not sound like a huge deal, but believe me, it IS. I’ve been without a working garage door for ages, and finally have enough saved to replace it. Yessss! 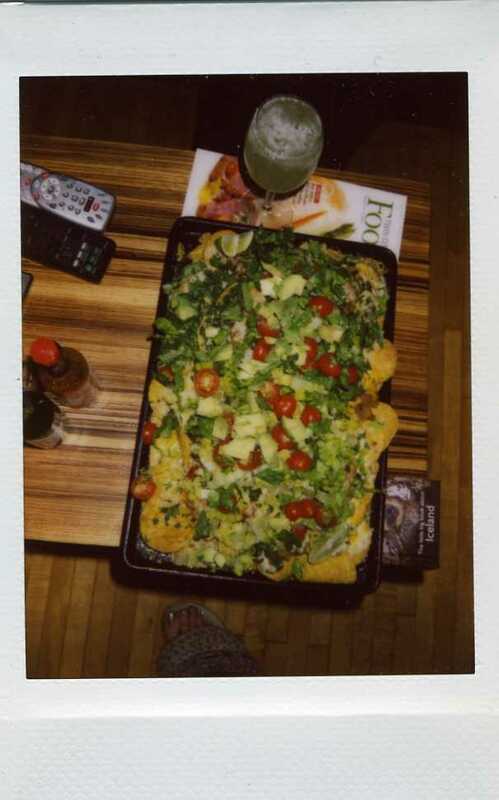 And last, but not least, Wednesdays = nacho night. Icing on the cake. Hope your days are fantastic! This entry was posted in Uncategorized and tagged Beauty Bets, blonde, gettin pretty, shameless plug by highplainsthrifter. Bookmark the permalink.